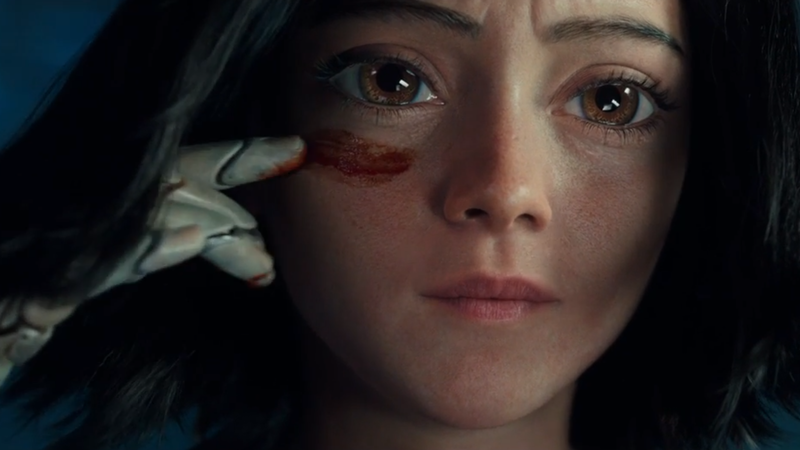 It’s been nearly a year since the first trailer for Alita: Battle Angel—directed by Robert Rodriguez, co-produced and co-written by James Cameron, the project’s longtime champion—startled us with the main character’s exaggerated, distractingly creepy eyes. Fortunately, a second trailer brought a little more story into focus (and seemed to scale down those peepers somewhat). Now we’ve got a third trailer that builds out the world of the film—which is based on the manga series by Yukito Kishiro, and stars Rosa Salazar, Christoph Waltz, Jennifer Connelly, and Mahershala Ali—even more. Though Alita: Battle Angel was originally set for a December 2018 release, we learned back in September that it’ll be hitting theatres on February 14, 2019 instead.